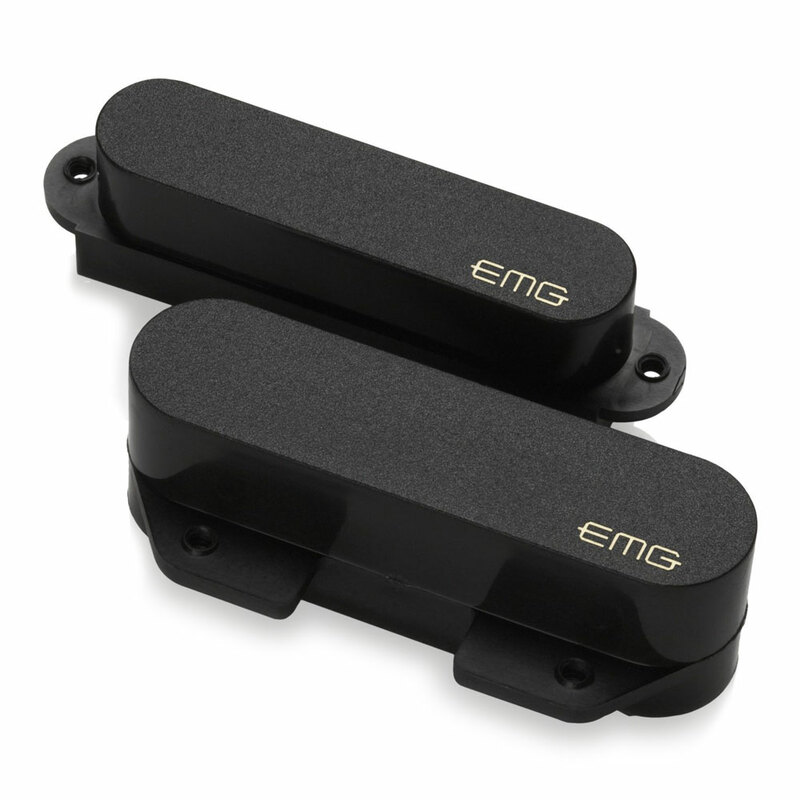 The EMG T Pickup Set gives you all the twang and punch you'd expect from Telecaster pickups with incredible clarity and definition with no hum. The bridge pickup gives players that classic chime and a rich low end, when overdriven it screams with incredible sustain and edge. The neck pickup has clarity, warmth and rich harmonic content that is perfectly matched to the bridge pickup. The pickups use Alnico magnets with custom engineered coils and windings to give your sound fullness and a broader bandwidth, well beyond your typical tele pickup, covering rock, country, blues, fusion, R&B and more. The T set features their solderless system for quick and easy installation, it comes with everything you need including a 25k volume and a 25k tone pot, 3 way selector switch, stereo output jack, battery connector and all required connector wires (pickups can be soldered if required).